O Sullivan, Chris - Paloma Resources LLC (Natural Gas & Petroleum) is practicing law in Houston, Texas. This lawyer is listed on Lawyer Map under the main category All Law Firms in Natural Gas & Petroleum. 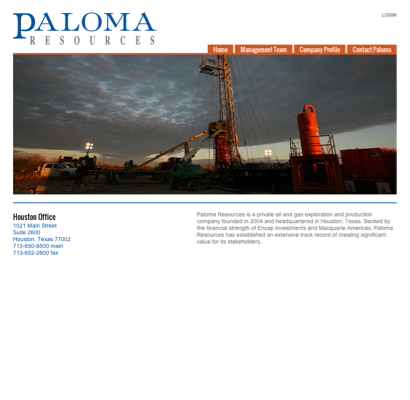 O Sullivan, Chris - Paloma Resources LLC is listed under Natural Gas & Petroleum in Houston, Texas . There's currently no information available about fees or if O Sullivan, Chris - Paloma Resources LLC offers free initial consultation. The information below about O Sullivan, Chris - Paloma Resources LLC is optional and only visible if provided by the owner. Call (713) 650-8500 to learn more. This is how to chemically convert 8 molecules of limestone, or 8 molecules of Potash Rock, into 1 molecule of synthetic Octane gasoline. 0) Chemically react 8 molecules of Limestone, 8 CaCO3, or 8 molecules of Potash Rock, 8 KCO3, with 8 molecules of Hydro-Chloric acid, H2Cl! 1) The H2Cl needs 1 saltwater molecule, H2O, and 1 salt molecule, NaCl, 8 times, to make just 1 Octane gasoline, C8! 2) Electrically seperate the Carbon from the 3 Oxygen and dump the Oxygen! 3) The Carbon, called Methane, is then electrolysed into Ethane! 4) The Ethane is then electrolysed into Butane! 5) The Butane is then electrolysed into Octane! 6) The Octane gas is then condenced into Octane gasoline, Jet Fuel! Jet Fuel can combust as regular gasoline now that fuel is injected straight into the combustion chamber! 7) The 8 Carbons that compose Octane gasoline are produced along with 8x3=24 free floating Oxygen! Note that GreenPeace? 8) I know how to make synthetic Octane gasoline from 1) Methane gas & 2) Limestone, CaCO3, & 3) Potash rock, KCO3! 9) Synthetic Octane gasoline combusts the least (8) Carbon per combustion! Gasoline usually has 20 Carbons / molecule! We can go even better than that by liberating 3 Oxygen / Carbon, or 24 Oxygen / molecule of Octane gasoline made! Note that GreenPeace? 10) I don't want to sound like a religous fanatic that's why I'm waiting until I've gotten this patented before I announce to the world I had been visited by my brother Robert M. B. Smallwood and my grandfather Josepth R. Smallwood and Poppy Joe explained to me how to make gasoline from 5 NfLb. resources! 1] Calcium Carbonate, CaCO3, 2] Hydro-Chloric acid made from Atlantic water, H2O, 3] Chlorine from mined salt, NaCl, 4] Hydro-electricity, 5] Human-capital! 11) There isn't any chemical isolation of Chlorine that is isolated from the Sodium because, after the Hydro-Chloric acid reacts with the limestone, the Chlorine is freed to the Ocean and rejoin the Sodium! The Chlorine can unite with the Calcium as CaCl until it reaches the Ocean and the Sodium takes over as NaCl! 12) Likewise there are 3 Oxygen in the limestone. The Oxygen that unites with the 2 acid Hydrogen, to form into water, are matched by the Oxygen that is liberated from the water liberating the 2 Hydrogen found in the Hydro-Chloric acid! The environment stays inbalance! 13) In Alberta they have Potash Rock instead of Limestone. But Potassium Carbonate acts much the same as Calcium Carbonate! But you have to be careful not to breath in any Potassium because you'll suffer a stroke or heart attack just like those ducks who died at the door entering a Suncor building or GreenPeace adjetators who died trying to hide under work clothes at the entrance into the Suncor building! Contact O Sullivan, Chris - Paloma Resources LLC to find out about hours of operation / office hours / business hours. Listed business hours are general only. Call (713) 650-8500 to learn about office hours.